Each year, over fifty performing arts groups compete for the opportunity to pitch their work at the Association of Performing Arts Presenters conference in New York City, the world’s largest networking forum, and marketplace for performing arts professionals. Flying Moose was asked to design and produce a short demo video to win BANDALOOP one of only ten spots at the APAP “UpNext” pitch session. Our challenge was to present BANDALOOP’s new performance piece, Harboring, in the context of their two decades of pioneering aerial performance work. The performance was presented in the Festival Pavilion at Fort Mason, a historic maritime building set on the edge of San Francisco Bay. Audience members were led by a troupe of dancers to experience a sequence of performances presented at different locations throughout the fifty-thousand square foot, five-hundred-foot long space. We needed to capture, within the limited pallet of two-dimensional moving images, both the multi-dimensional aerial dances and the kinetic audience experience as they walked through the vast pavilion, witnessing images of travel, memory, the fluidity of the ocean, rope craft, and maritime industry. 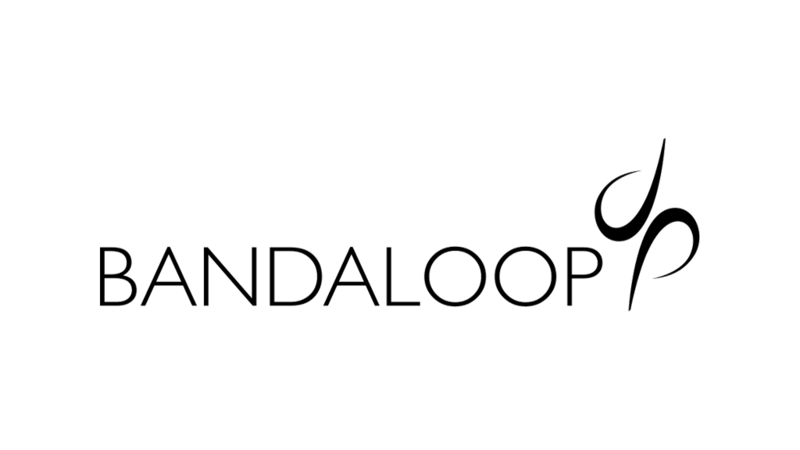 The Moose worked closely with BANDALOOP Founding Artistic Director Amelia Rudolph and Executive Director Thomas Cavanagh to understand their specific goals for the demo video. Harboring’s presentation at an indoor venue brought the troupe’s unique form of aerial dance intimately close to the audience as they were led through space. In order to capture a sense of both the performance and of the audience’s experience of the performance, we planned for our cameras to move through the darkened space ahead of, behind, and within the large, mobile crowd. The performances were “site-reactive”, meaning that each of the eight, dances were performed against unique architectural elements of the historic building – on top of shipping containers, suspended from the roof, or hanging on a wall. We worked closely with our client to plan a shot list to best frame and capture memorable images and motion from each of the dances. Our team shot Harboring with multiple cameras at three performances. By reviewing our footage in-between performances, we confirmed what we had captured, reviewed the most compelling angles to shoot each dance, and adjusted our shot list to span the largest set of useful angles for our edit. Ongoing consultations with our client allowed us to anticipate the evolving elements of the show and to refine our plan as we experienced the show ourselves and learned which elements would best serve the communications goals of the short demo video. In order to communicate the historical context of Harboring within the BANDALOOP repertoire, we reviewed their extensive video archive and selected dramatic clips that showcased aerial dances in a variety of international locations. In addition to the short demo video, Flying Moose also delivered a full-length documentary recording of Harboring that was used to archive the show, as supporting material for potential bookers, and as a gift to reward financial supporters of the company. BANDALOOP used our video to win a coveted slot to pitch Harboring to arts presenters from around the world. The presentation, combined with the full-length documentary video, led to international bookings of the show.